Cloud makes data protection easier. Vembu Cloud Services offers the simplest means to protect the data of Small and Medium businesses by backing up directly to Vembu Cloud. 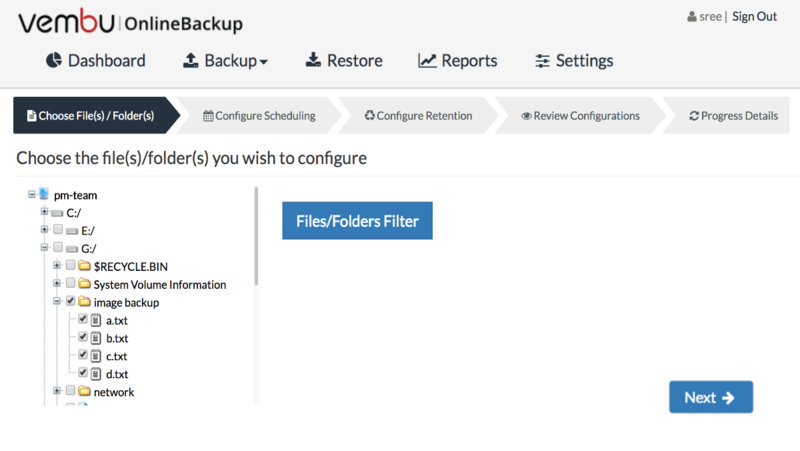 Backup Files and Applications from your machine without the overhead of setting up a backup server. 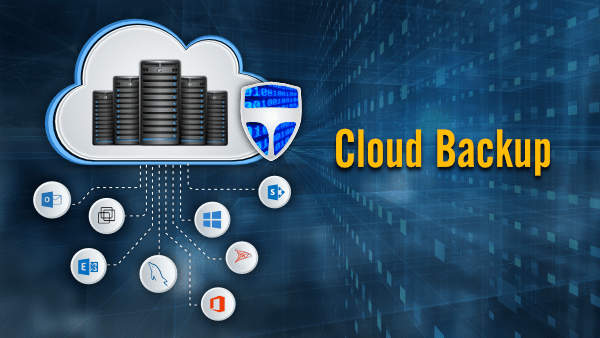 Eliminate any possibility of data loss with a cloud-to-cloud backup of your SaaS applications. From anywhere, a sign-in and a download will get your business back on track during disasters with minimal downtime. With the hybrid cloud deployment, you can keep one copy of the data at a local data centre and another at Vembu Cloud, making your Disaster Recovery plan more reliable. 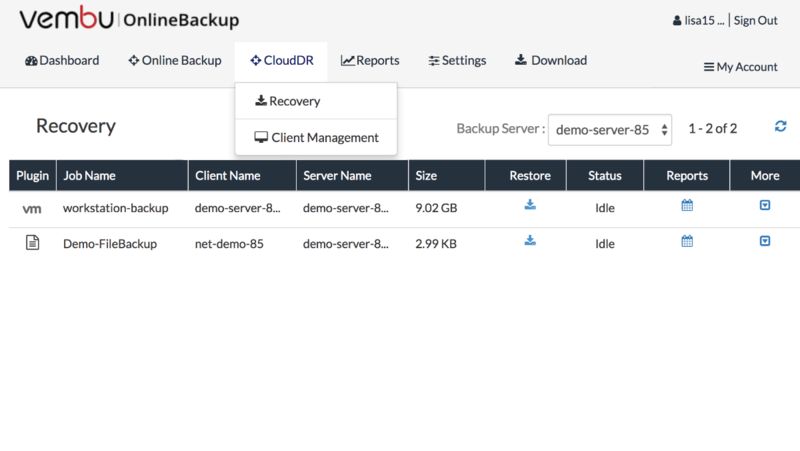 When the client machines are lost, they can be recovered using the backup server. But when the backup server is also lost, business continuity takes a hit. Vembu CloudDR makes your disaster recovery plan more reliable even if the on-premise data is lost. Setting up an expensive and sophisticated IT environment as a backup server is not the only way to avoid data loss. There is a simpler way. 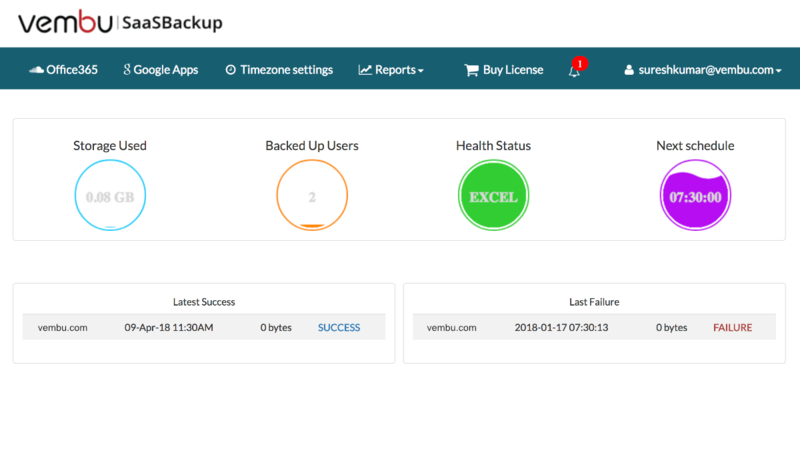 Protect your critical files and applications by backing up directly to Vembu Cloud using Vembu OnlineBackup. As SaaS applications have become vital for most of the Small and Medium Businesses, there is an imminent need for data protection. All it takes is one accidental deletion or a trojan attack to make your data irrecoverable. Vembu SaaSBackup helps you overcome these data threats. Your data protection policy should not end with taking backups. It must ensure you have control over the process across every backup job. 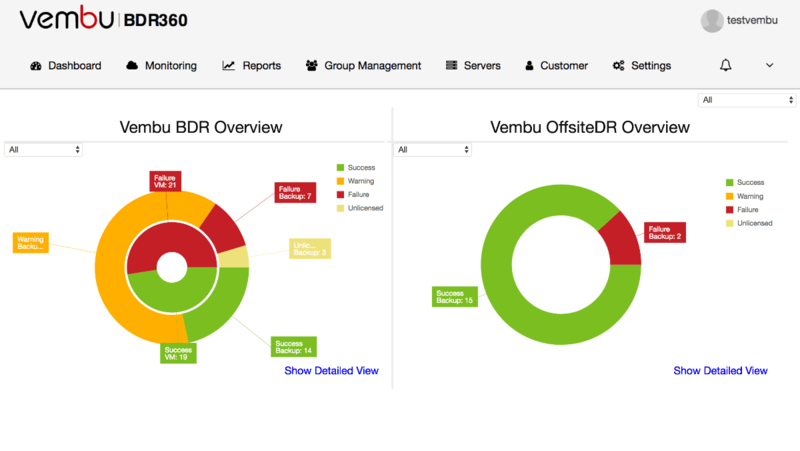 Get end-to-end visibility and control of your backup jobs using Vembu BDR360.